This housing style is very common in the Chicago area and sometimes it can be difficult to determine whether a house is a Sears Dover, a similar house from another kit house manufacturer, or just a copycat. This Dover has a clipped gable roof. Many of the copycats do not have the same roofline. The side windows perfectly match those of the Dover in the catalog. There is a bellcast roof over the front door that goes just under the front window. The light is in the exact same position over the front door, and the front door itself was one of the standard styles available from Sears at the time. 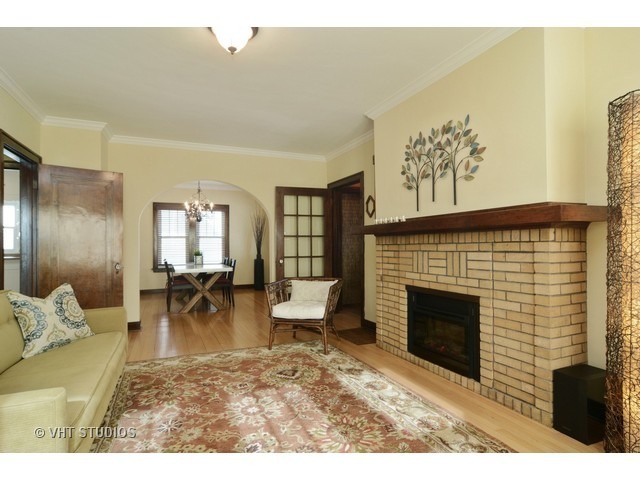 The one obvious difference from the catalog picture is that our Dover lacks the front chimney, which means the house did not come with a fireplace originally. The other difference is the shed dormer, but this could have been added to the house during a later renovation. The vestibule. 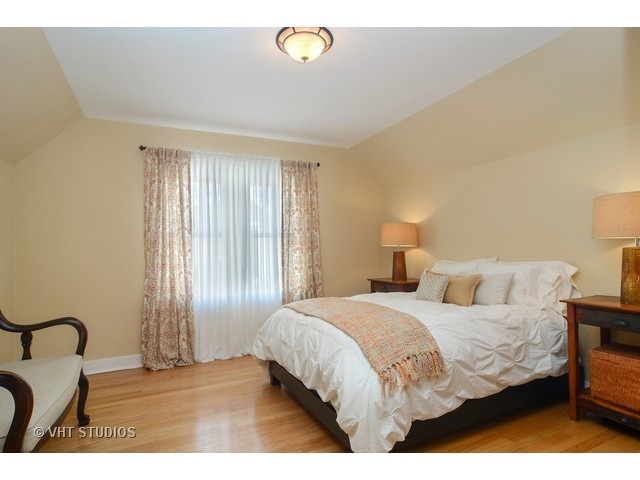 Photo from Realtor site. The Dover does not have the front chimney. 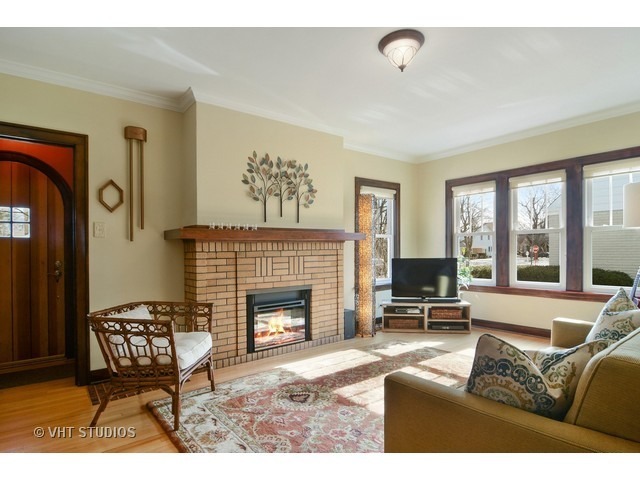 However, it does have a gas fireplace in the living room that was added after the original build. 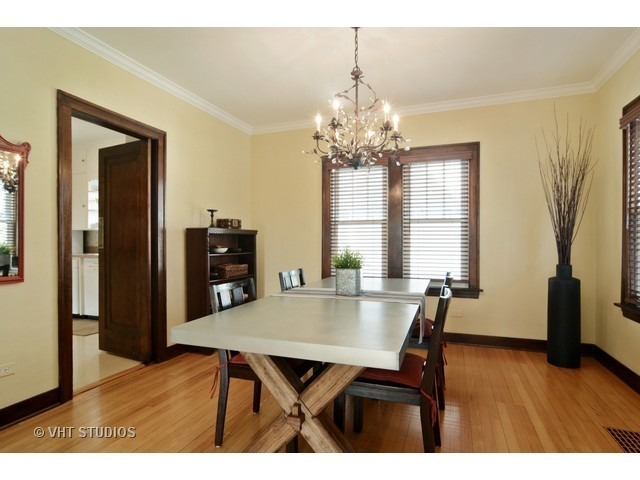 Photo from Realtor site. 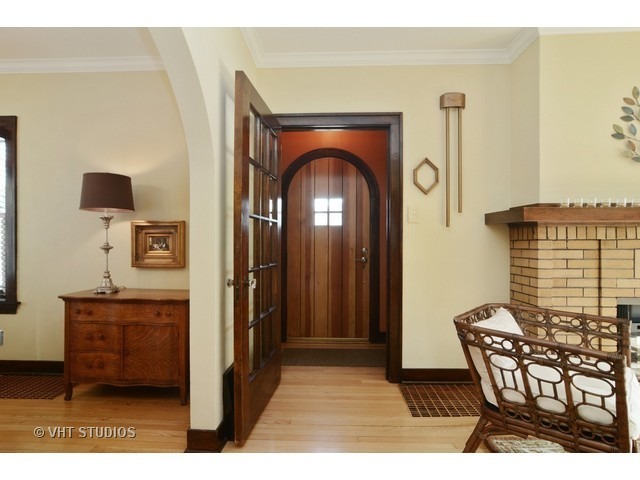 The door on the left leads to a small hallway. 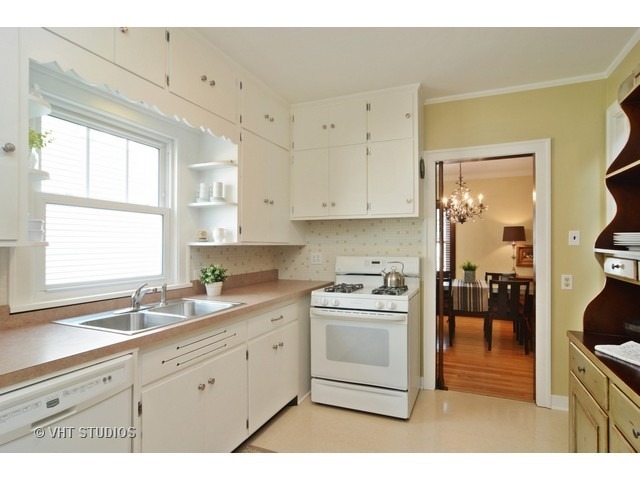 Photo from Realtor site. 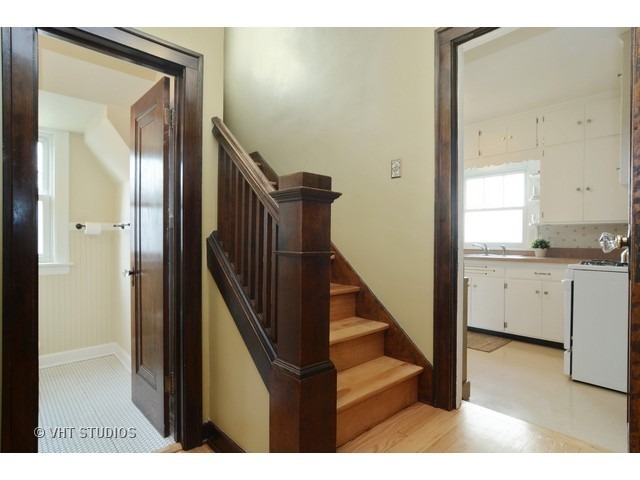 The swinging door leads to the kitchen. Photo from Realtor site. 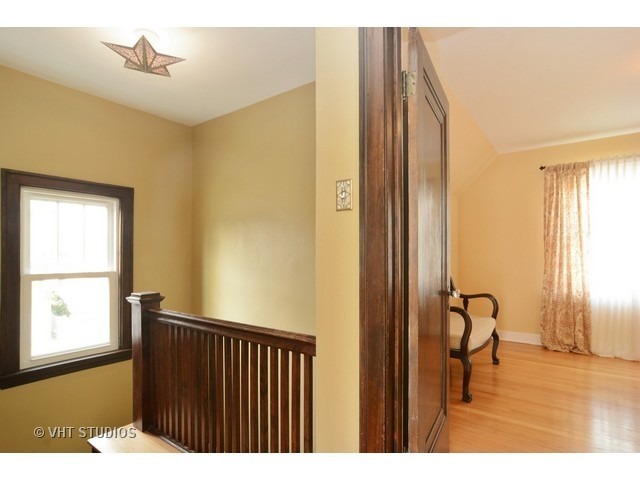 All original woodwork. Photo from Realtor site. 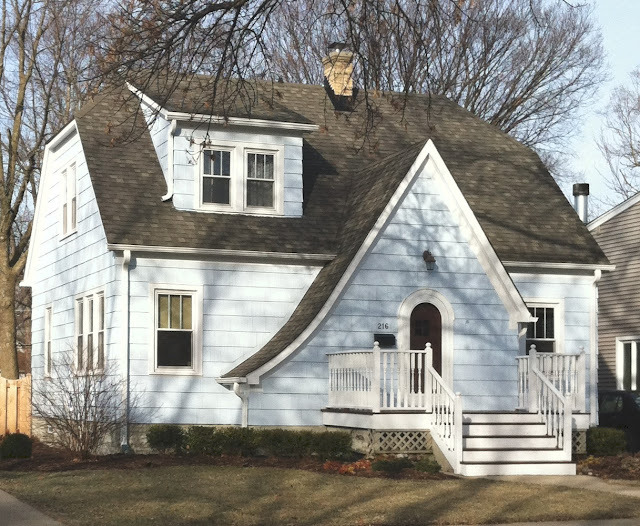 The windows on the left are contained in the dormer in the front of the house. Photo from Realtor site. 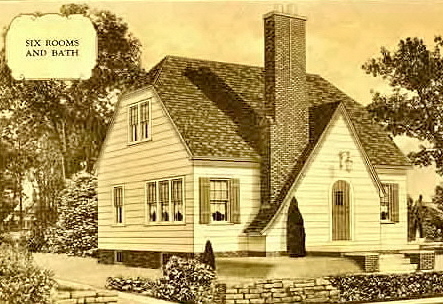 The Dover as delivered came with a dormer in the back with two windows. The large window overlooks the stairway and the small window is in a bathroom. 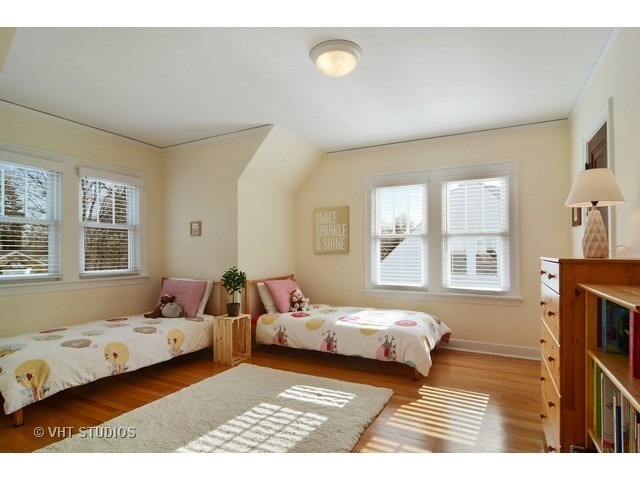 Photo from Realtor site. This Sears Dover was built in the spring of 1929 by the general contracting firm Geo. L. Parker & Son. Ira and Olive Hackmeister were the original owners.